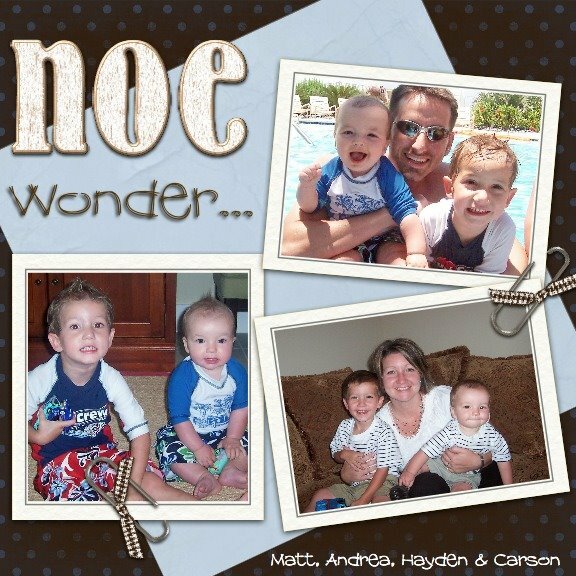 The Noe Family: What a man! How do we go about donating?? WOW! I loved reading that, it was so moving. I think you're both really lucky to have each other, and you have an amazing spirit. We missed you at small groups, but that Carson is SO funny and way too adorable! And post a response to Melanie's question, others want to know too. Good question. I just realized I forgot to add a link. 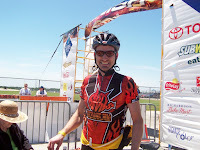 You can donate online at Matt's MS150 page on the MS Society site or give us a check when we see each other next. We love you, Matt, and sweet Carson and Hayden! We are blessed to have you in our lives because you inspire us!! We love Buster too, he's pretty awesome! I love this post. What a blessing he is to you Andrea, and I love how you appreciate him for that! Love you all. Matt is the man! Both of you are lucky to have one another. God works in WONDERFUL ways doesn't he? You go Matt! We can't wait to celebrate and donate! Man, I had chills and a lump in my throat reading that! You both are inspiring! Thank you for your inspiration! 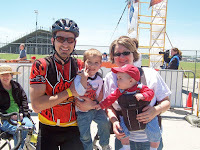 I was just thinking about you this morning and that next week was Matt's ride in honor of you! I bet this year will be much different for ALL of you. I'd love to read his speech as a post. 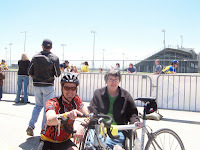 Missed you this weekend and I will be thinking of you next Sat. Where does it start/finish and where does the course go through?